Camera drones have brought a lot of excitement in the few recent years. They’ve been used in so many ways, from a kids toy to a commercial exploring unit to a military drone. 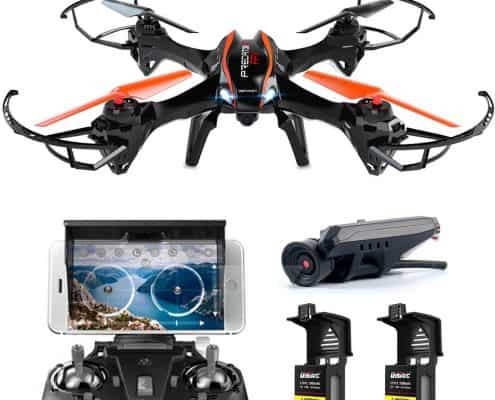 But over this period of time, there has been the development of several models of drone with camera from the various manufacturers, that are just, out of this world. 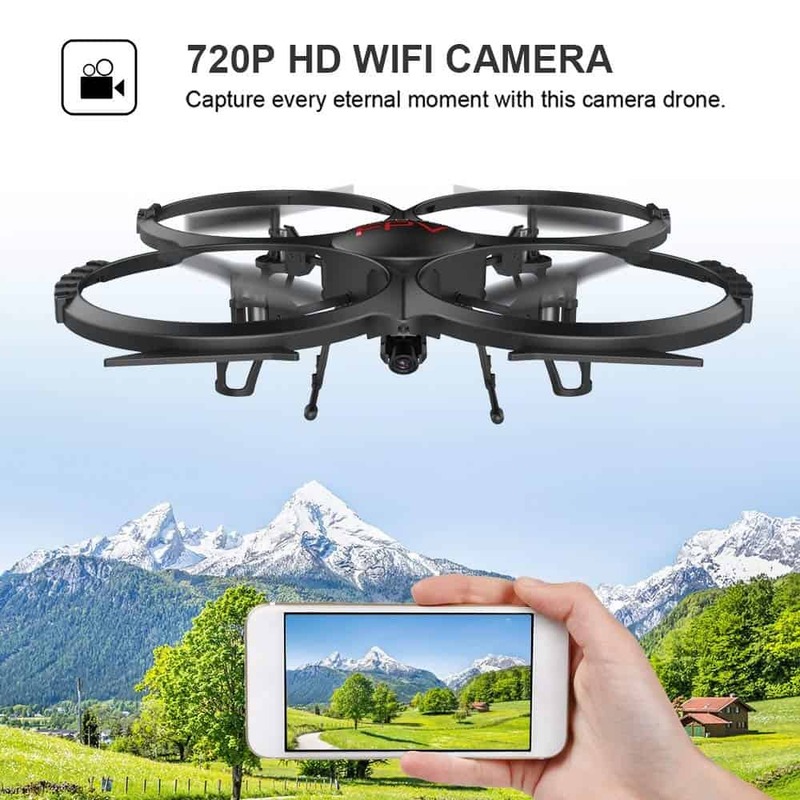 The modern drones offer a unique way of capturing exciting moments of your life be it indoors or outdoors. Over time, the camera quality has significantly increased, and this allows for images and videos with a professional touch. 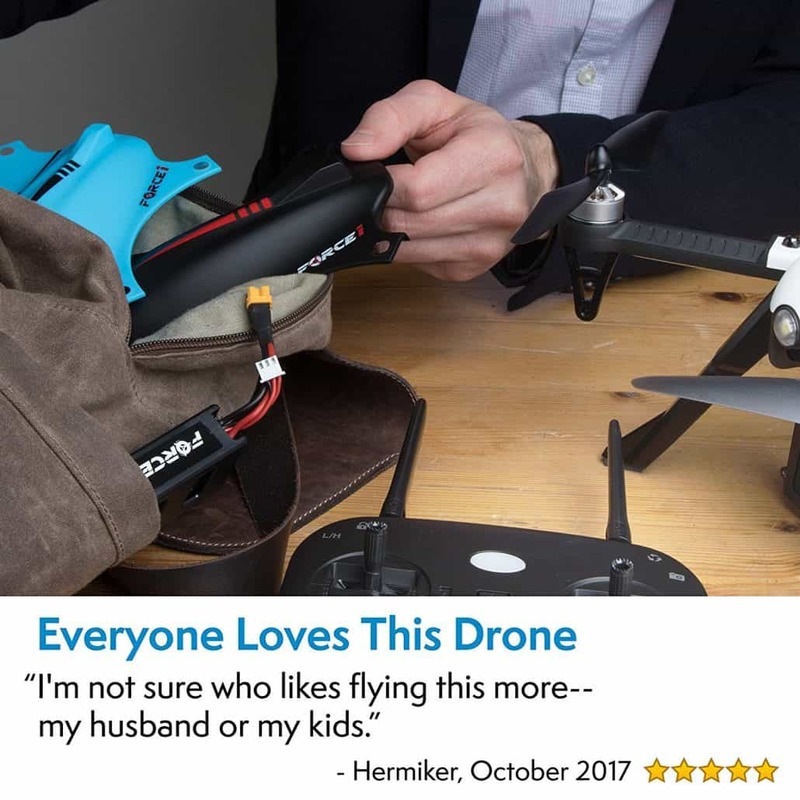 As a matter of fact, this could better explain why the drones have proven to be very popular across all age groups and different fields of applications. 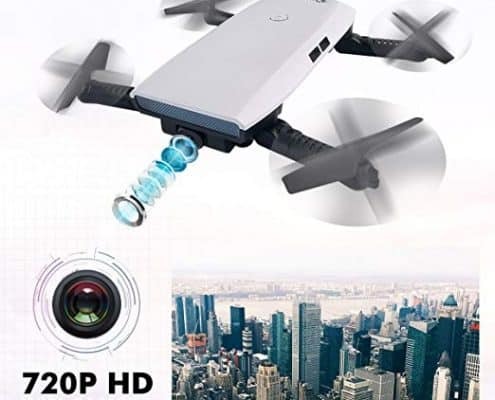 So what are the best Drones With A Camera this 2019 you ask? 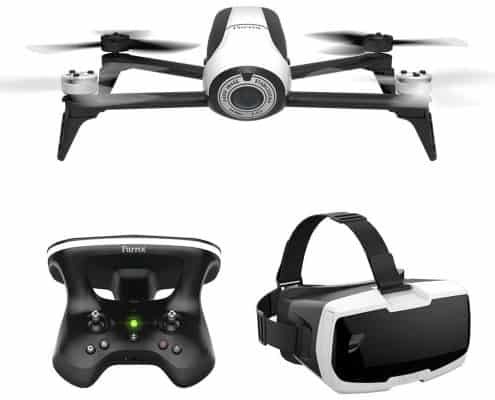 There is a wide range of different drones with cameras on the market today. Many of which are great for people who are learning how to fly. 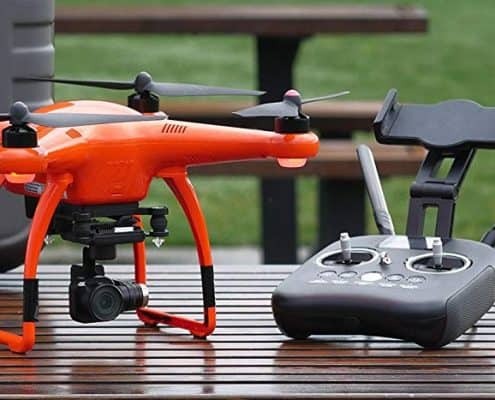 Manufacturers have concentrated their efforts on providing an exceptional flying experience that will not only allow users to take great photos from 20 feet away but also share them on social media platforms like Facebook. There have been 3 great developments since the drones started to show up a while back. The cemera has been greatly improved since the old days, many of the drones these days take 4k pictures and video, with a gimbal keeping the camera steady and all, you get great shots! 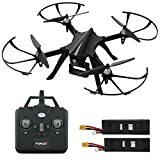 Flight time on these drones with camera has considerably increased with some drones making it almost to 30 minutes of flying experience! The distance that the drones with camera can go has drastically increased with most drones in the professional category making operating in a range of 4.3 miles which is quite overwhelming. 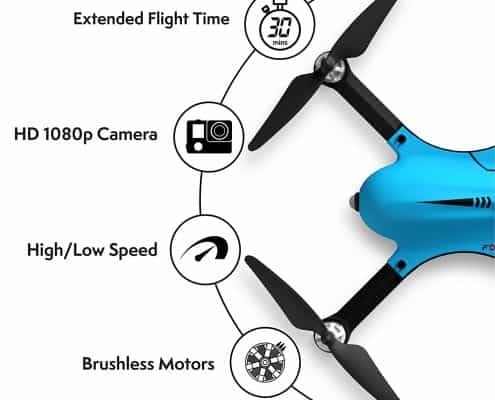 This post will review 9 of the best drones with a camera. 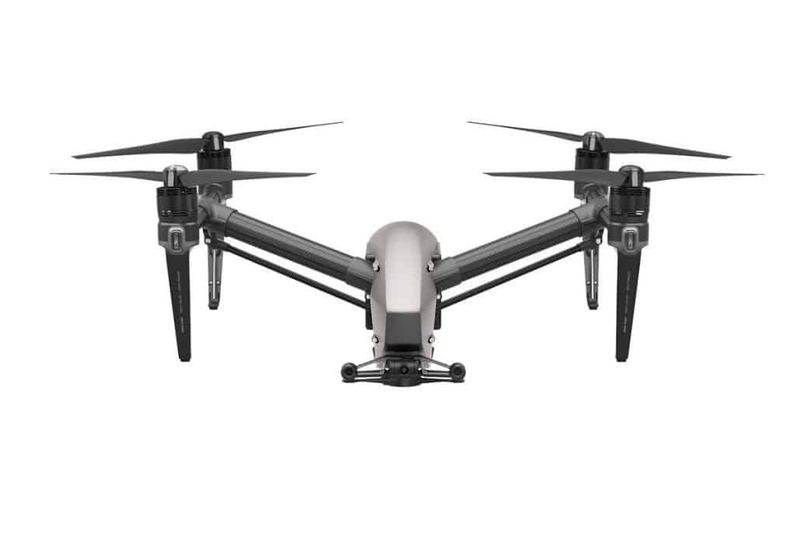 The Inspire 2 from DJI offers the ultimate experience and quality when it comes to professional photography and filmmaking drones. The drone’s capabilities are out of anyone’s expectations, and it is taking the film industry to a new level by offering possibilities that were previously unimagined. There are a number of versions for this drone based on the add-ons such as the camera and other accessories that are required. 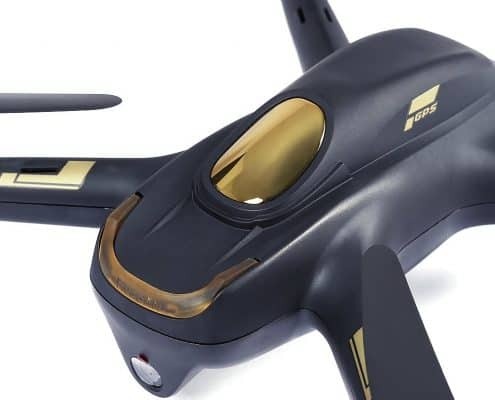 However, with all the models, you can comfortably have a flight duration of up to 27 minutes and a staggering range of a live feed of 4.3 miles. It also allows for a dual battery design that ensures that you have a longer flight time. The social media streaming options enable you to do so much more especially in this era where social media has proven to be part and parcel of our lives and great marketing tool. 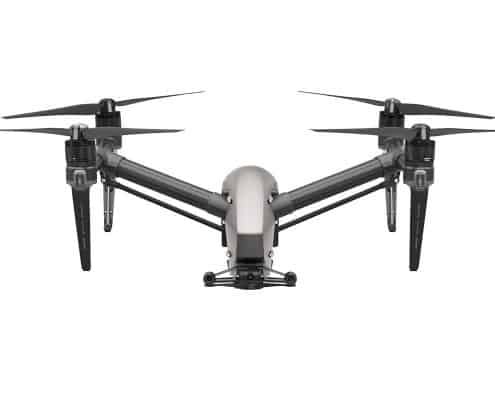 To make the DJI Inspire 2 stand out, it has the ability to record at 5.2K Cinema DNG RAW format and also allow dual recording for safety purposes. At the same time, it also allows for compression in H2264 or H265 in addition to the supercool CineCore 2.0 image processing feature. It also comes with a battery heating system that makes it possible for the drone to operate at temperatures of -200C which is one of a kind. 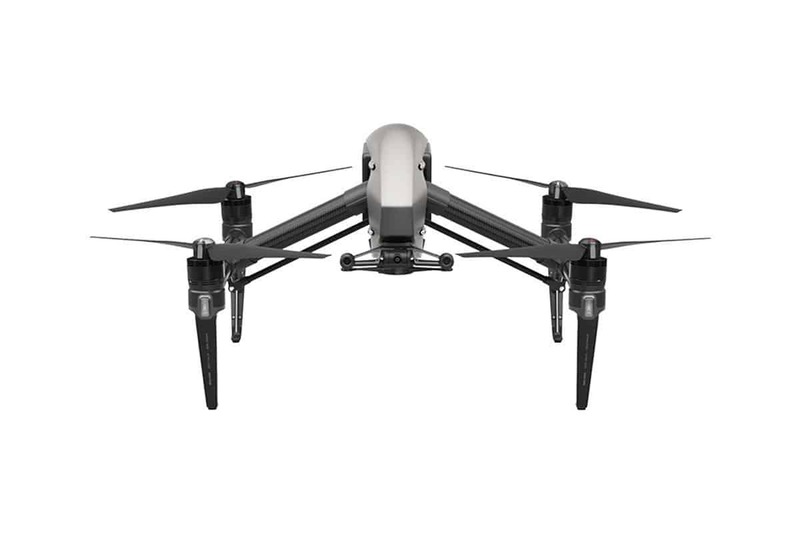 Now, the advantages of the DJI Inspire 2 are written all over, and virtually all the features are a world first class. You can get this model with a vary of options, many different packages are available. So it means that depending on your budget and type of application and still want the best performance, this is your model. Now with all the tech that is packed in this drone, ensuring its safety is key and virtually every single thing that could go wrong has been taken into considerations. 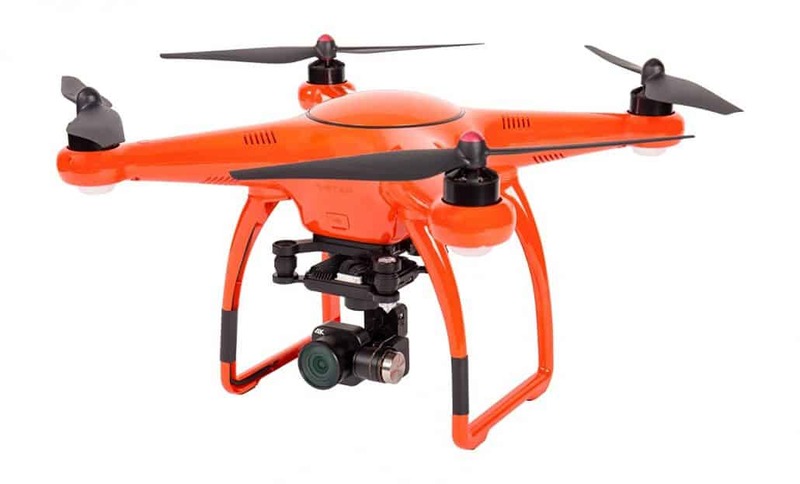 Features such obstacle avoidance, visual positioning system and the GLONASS ensures that you do not crash the drone. There is no shortcoming of the drone reported so far other than the fact that it is quite expensive thus it is a reserve for professional photographers and filmmakers. 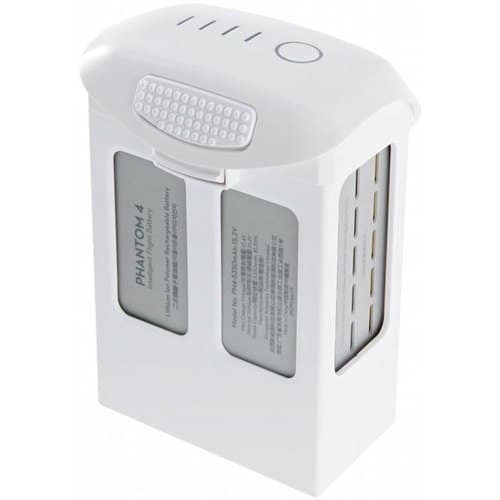 The same thing applies to the accessories, especially the batteries! 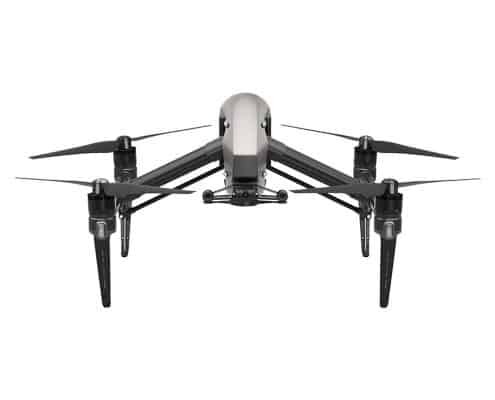 However, it is worth noting that the DJI Inspire 2 is worth every cent spent on it and much more as it has revolutionized aerial photography as we know it. 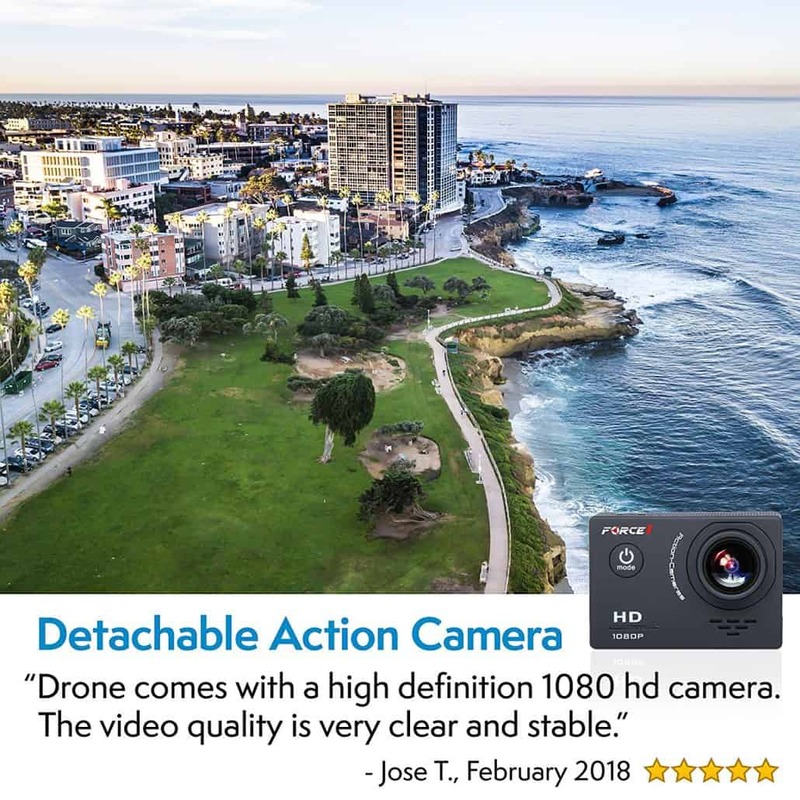 The Autel Robotics X-Star is an exciting professional camera drone that will ensure that you have exciting moments while capturing your actions. 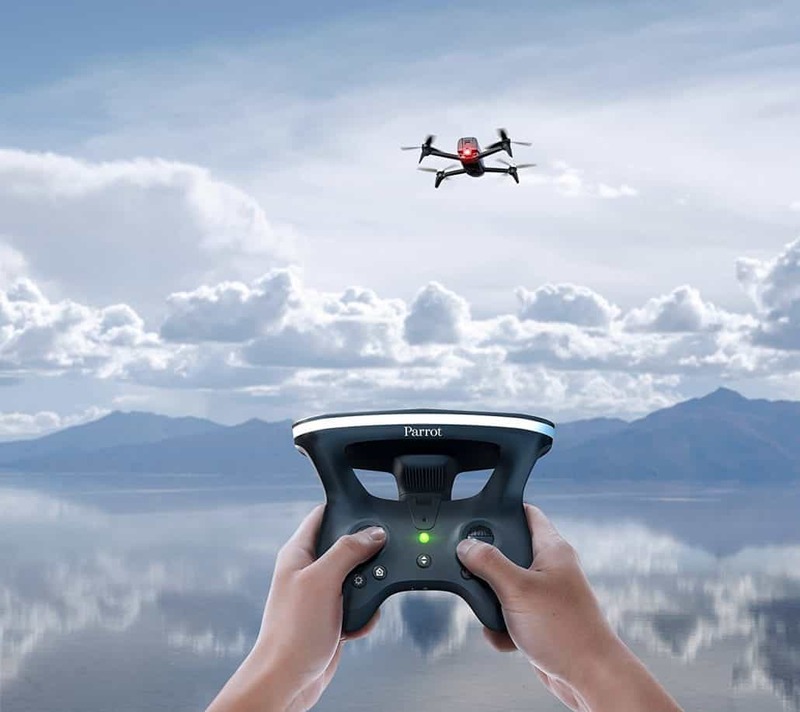 The X-star comes with most of the features that you can expect in a typical drone such as flight time of up to 25 minutes and a range of up to 1.2 miles. 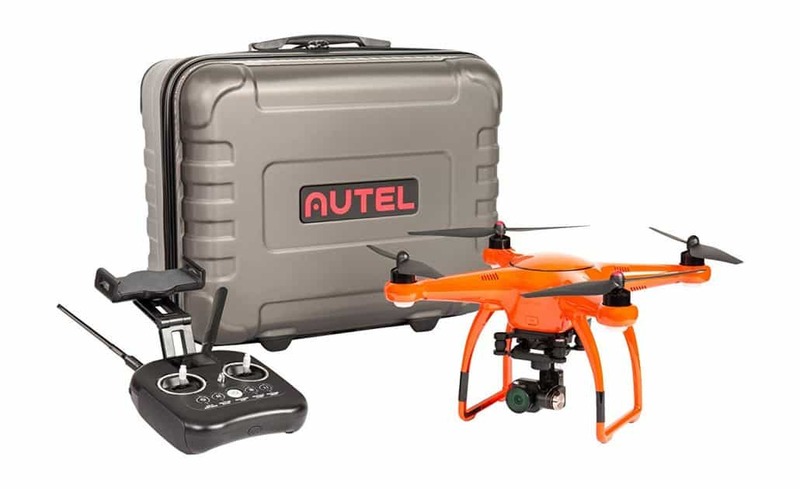 It also has a benefit of that unlike most of the drone in this range, the Autel Robotics X-Star is quite affordable and offers an entry point for the beginners seeking powerful drones. As a matter of fact, it offers a great entry into the world of top-level professional drones as it is easy to learn. 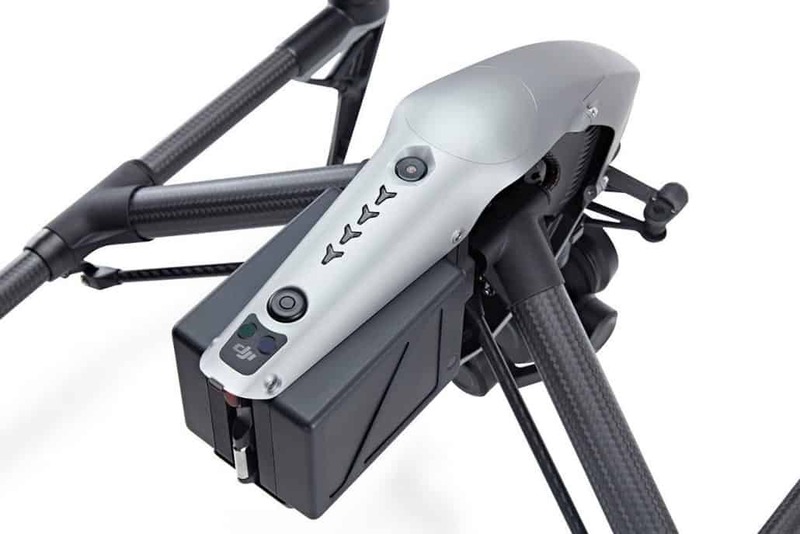 In terms of safety and protection of the drone, the drone comes with a semi-hard zipper case that is splash prove. Also, it has one-touch buttons for operations such as return home. 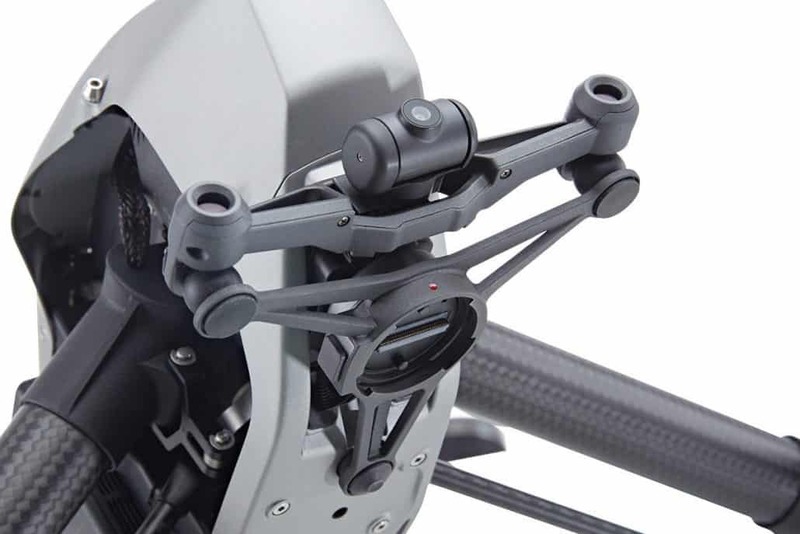 The camera and the gimbals on the Autel Robotics X-Star are detachable. It thus means that even if you were to destroy your drone, you would still be in a position replace these parts rather than the entire drone. And this is a plus as accidents probably will happen. 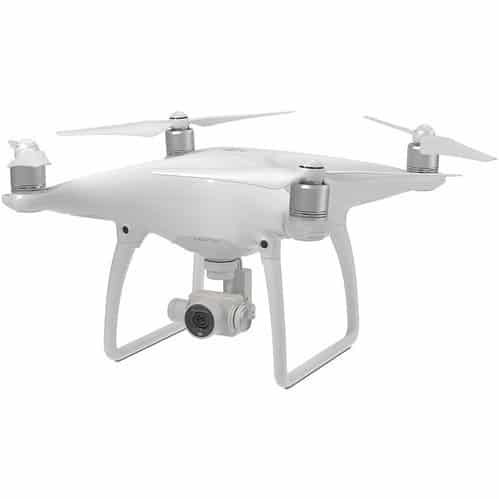 Also, given that they come in either orange or white colors, this is a plus in terms of physical visibility and in line with FAA requirement that you should in visual contact with the drone during flight. 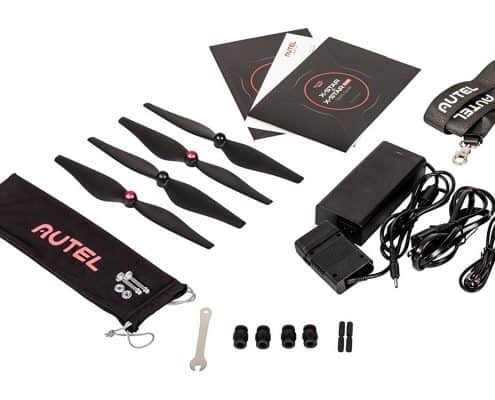 The Autel Robotics X-Star has lots of benefits to its name. 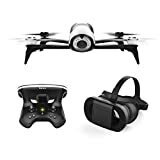 To start with, the drone is fairly priced for all the features it promises, and this is a great plus for those seeking to experiment with professional drones. 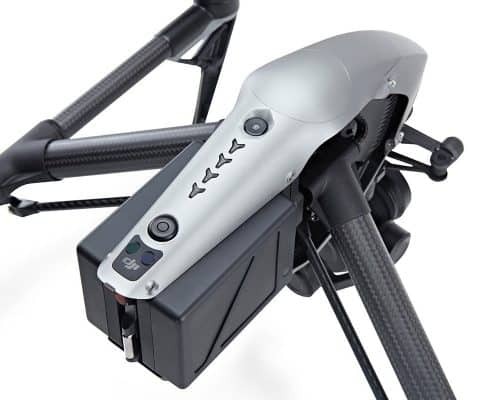 The X-Star Premium FOV camera is capable of filming video at 4K30, 2.7K60, 1080p120, or 720p240 fps. Its camera also has the ability to take 12MP pictures and has a burst mode also (3/5/7 seconds), time lapse (5/7/10/20/30 seconds) and Auto Exposure Bracketing (AEB) modes and saves them as JPG or DNG. 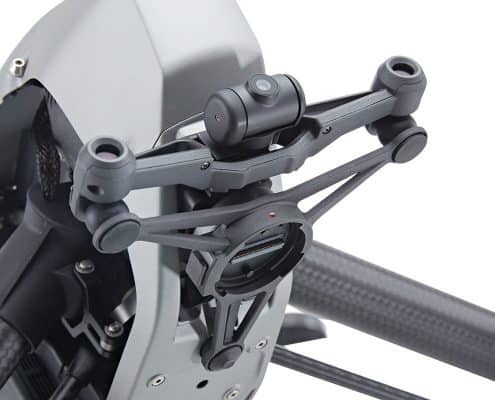 The gimbal on this model is REMOVABLE, allowing to upgrade the camera maybe in the future as technology gets better. 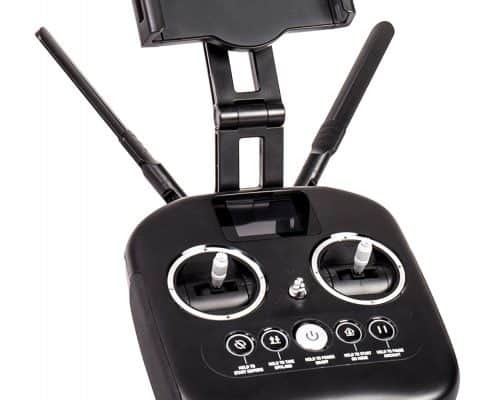 Model broadcasts the video link via 900 MHz frequency, not like all the others who use the 2.4Ghz, this enables the X-star to go even father then most and just makes it more reliable, less interference. EXCELLENT CUSTOMER SERVICE, 7 days a week! When signal lost, if not set properly it cna take off on its own. The drone lacks an obstruction avoidance system, and thus you have to be careful lest to bump onto something or even crash it. 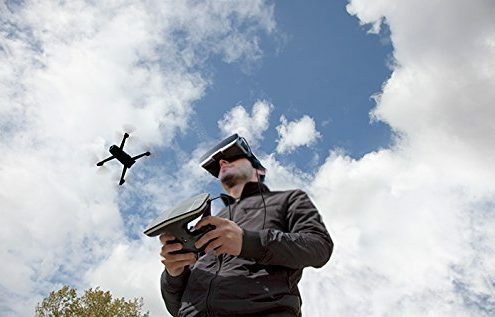 For the professional and the advanced users, this is the drone of choice and one that promises to take the users to a whole new level. 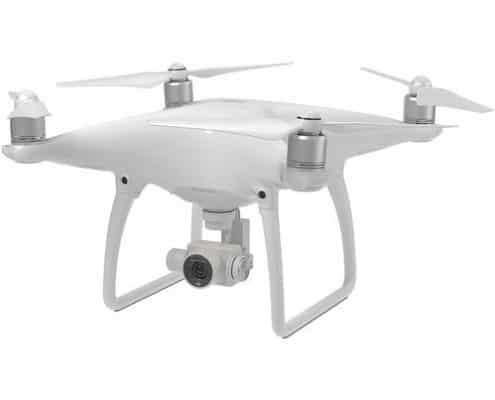 The DJI Phantom 4 Quadcopter Drone with Gimbal-Stabilized 1080p HD Video Camera promises to include a streaming feature at 720p while at the same time recording at the full resolution in the in SD card aboard. 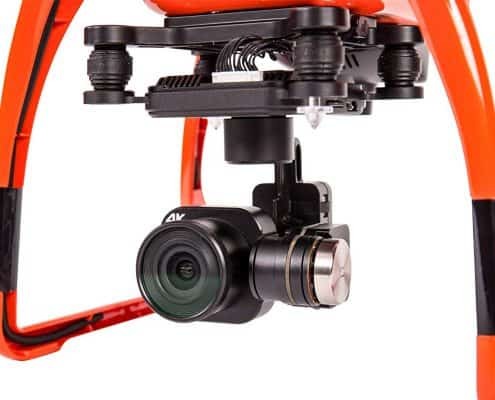 The video camera is further aided by the 3 axis gimbal stabilization system for steady shots. 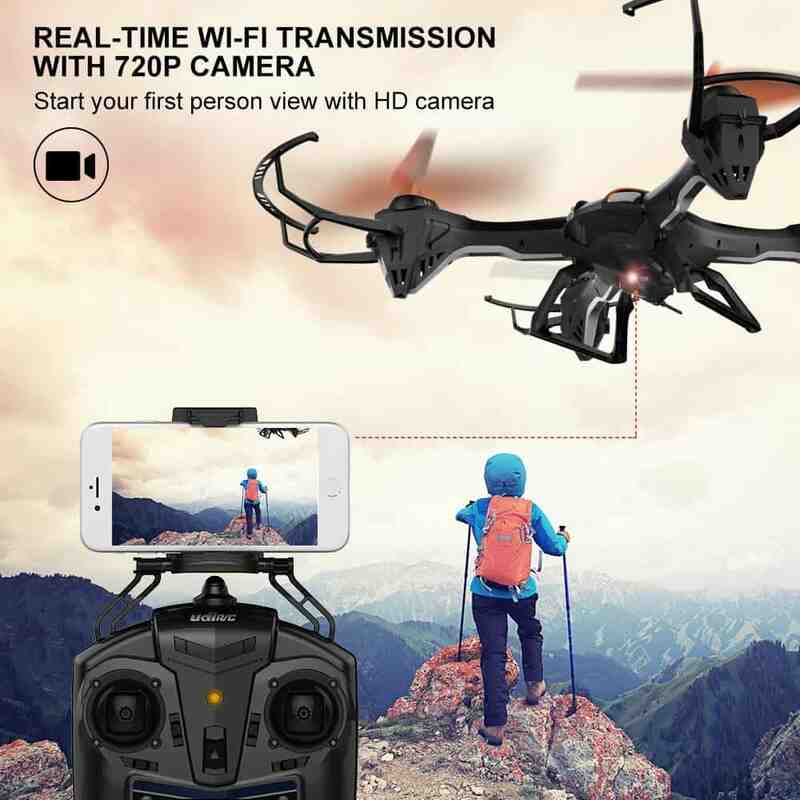 The drone comes with an Android as well as an iOS app that has full access to the controls of the camera while the ergonomically designed control pad that allows for convenient controlling while taking the shots or videos. 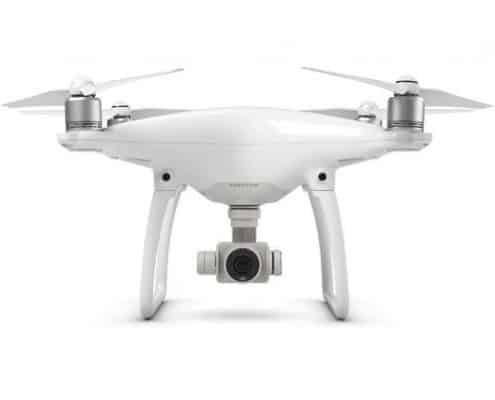 Phantom 4 comes in 4 versions, and that is the ADV, ADV Plus, Pro, and the Pro plus. All the versions are from the same base model, and the difference is just on the extras. 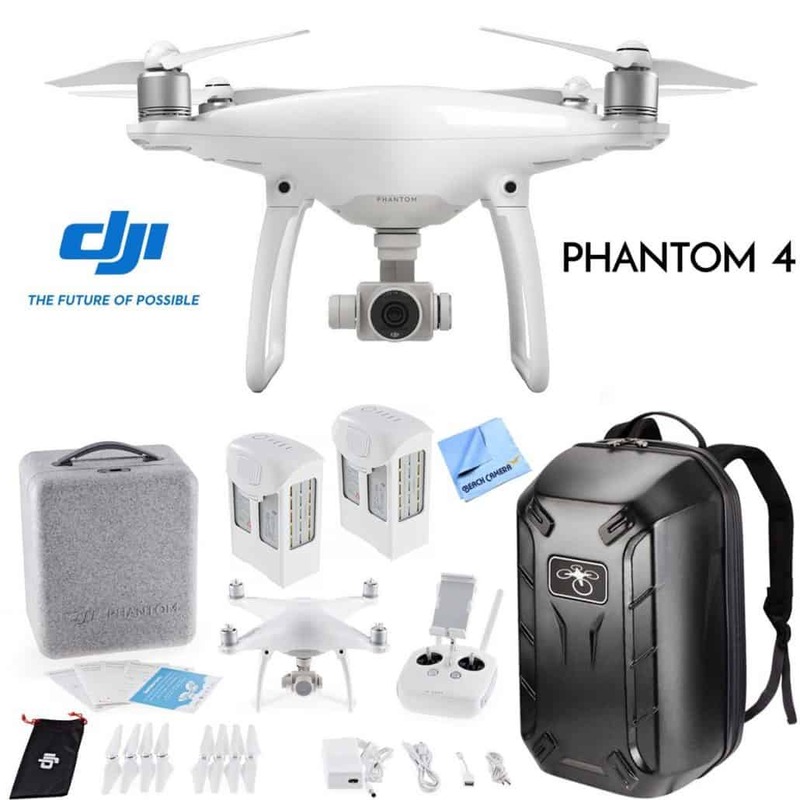 The DJI Phantom 4 is among the first drones with capable of flawless streaming at such high video resolution while at the same time recording the full 1080p on board the drone. 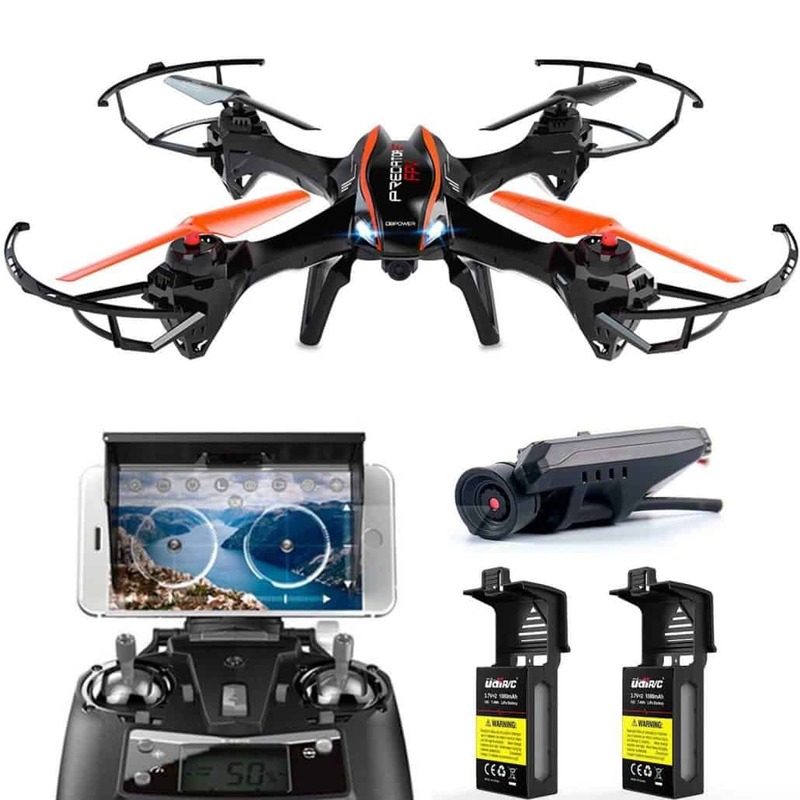 The drone comes with a total of three batteries thus tripling the time of recording and ensuring you that you won’t miss any action. 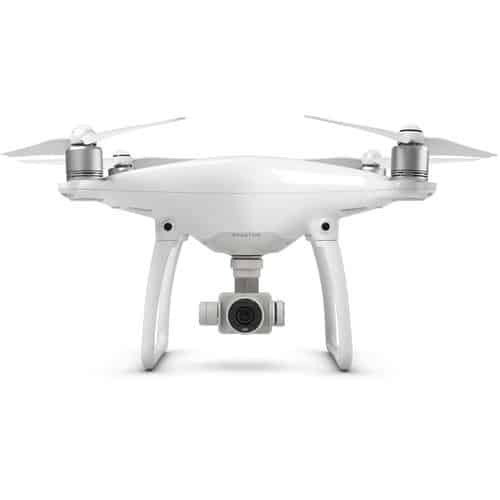 The Phantom 4 has fully automated functions such as auto take-off and landing. The drone has an onboard safety database containing the no-fly zones and alerting the user accordingly. 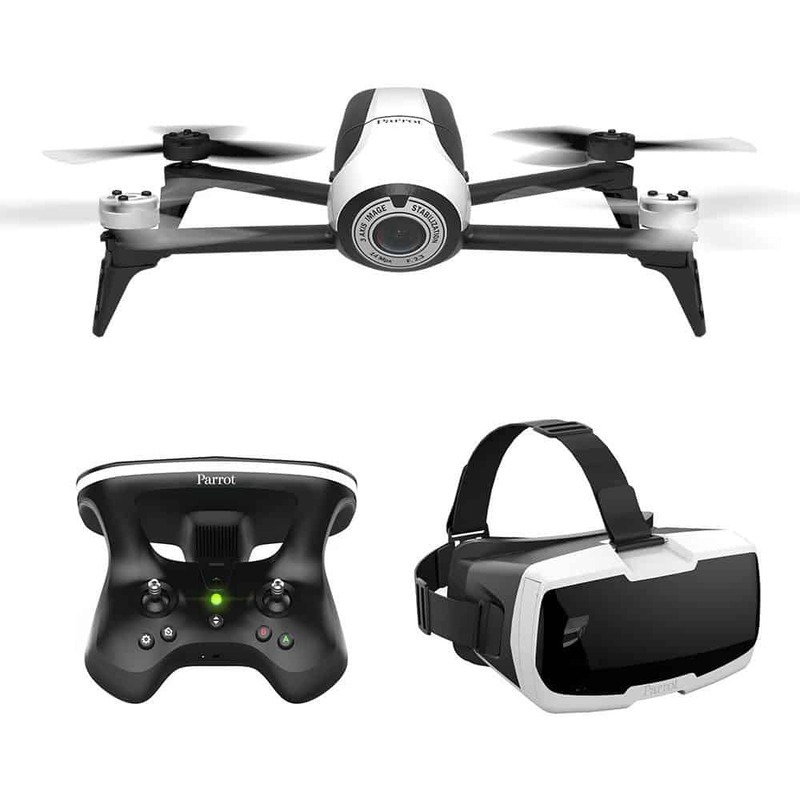 The build quality of the drone is outstanding, and this ensures that it last. It is also heavy enough to handle some wind and this combined with the sophisticated gimbals proved stable images at all times. 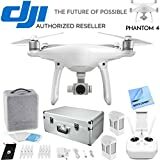 Presently, the shortcomings of the Phantom 4 are yet to be established per users as they are mostly rating it high. However, from the product description and an expert view, some element such as the cost which is being listed is a challenge to the majority of the users. 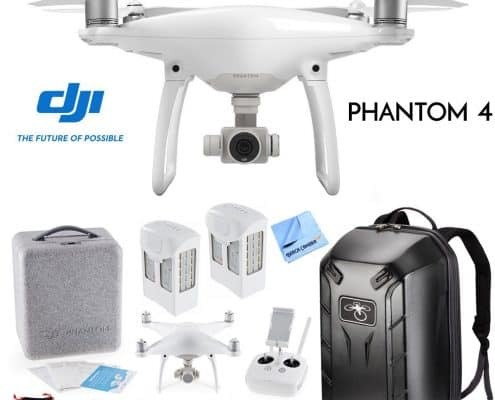 Another notable challenge is with the customer experience at DJI where a number have expressed their dissatisfaction when they need services such updates and replacement. For drone enthusiasts, this is the tool of choice when it comes to navigation and operation ability. This advanced model of the BeBop has a 14 MP camera incorporated on the front in a fisheye design and is full HD at 1080p. 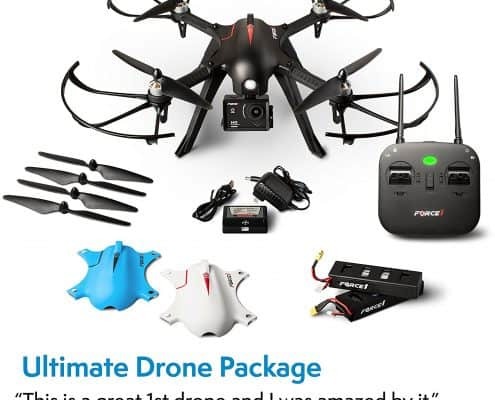 Designed for advanced and professional users, this is a kit that will blow your mind off if at all you will be in a position to afford the price tagged on this drone. 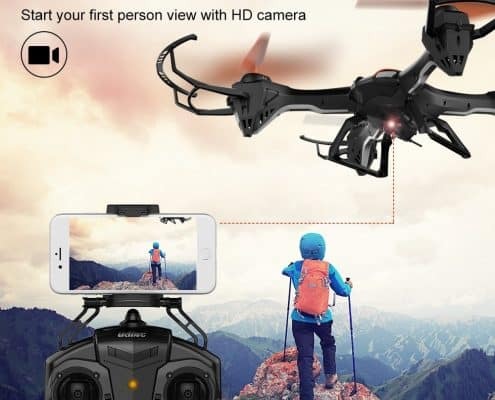 The drone promises to take your outdoor adventure experience to a whole new level with excellent videos and pictures from hard to reach places at all times. 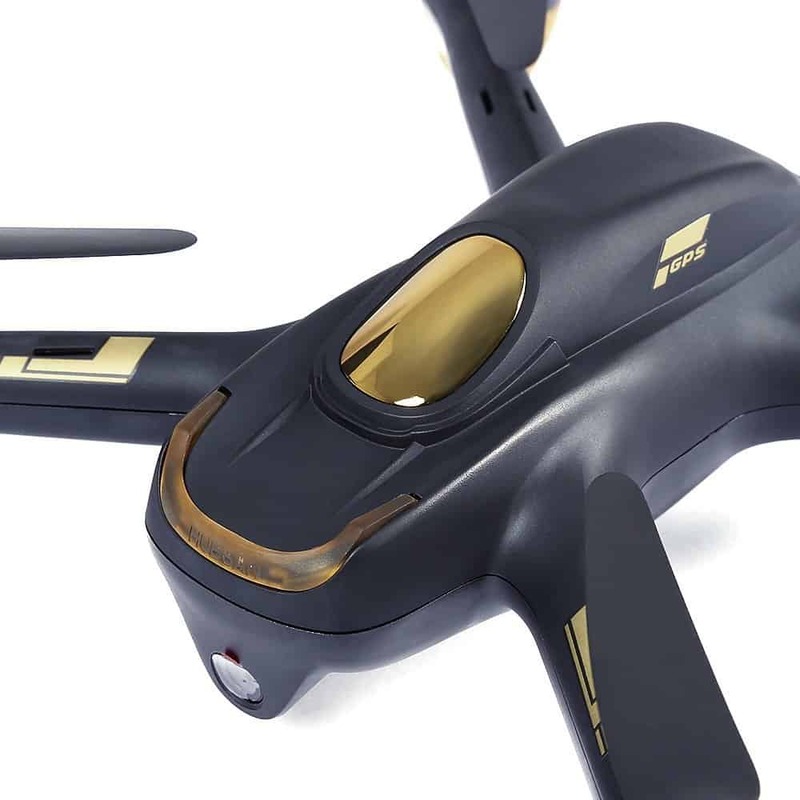 The most amazing feature of this drone is its lightweight design weighing about 500 grams. The low weight is as a result of an innovative design that combines heavyweight technologies to light designs thus increasing the range of performance. The camera with the fisheye designs allows for pictures and clips to be taken at an angle of 180 degrees thus there are no blind spots. 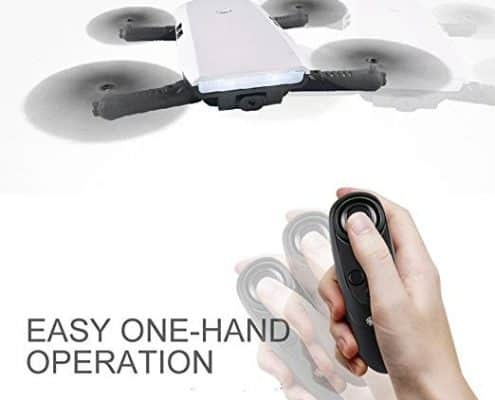 In the event of challenges during flight, the drone can land at any place with the use of emergency mode. 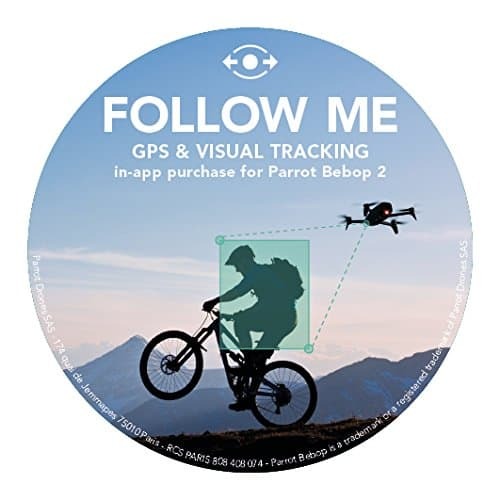 It can also return to the initial location via the return home mode which essentially uses a GPS guiding system. The amazing flight time and range ensures that you are able to achieve more in a single flight and also get far. The immersed feel is also a big plus in giving you a feeling like no other just like the front seat of the plane. For starters, this could be expensive and challenging to use as it is a totally different platform. However, the cost is worth every bit, and there are no regrets whatsoever as from the current users. Quality is a fact with this model, it is built using only quality materials, plus the excellent programming that is embedded on its chips making it extremely robust. 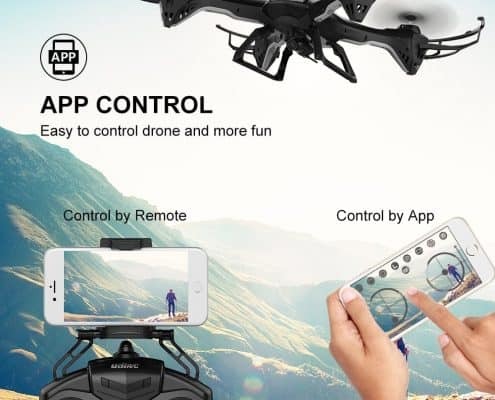 At the same time, though it takes some time to master the sky controller 2, the efficiency it brings is worth and makes this drone a great piece. 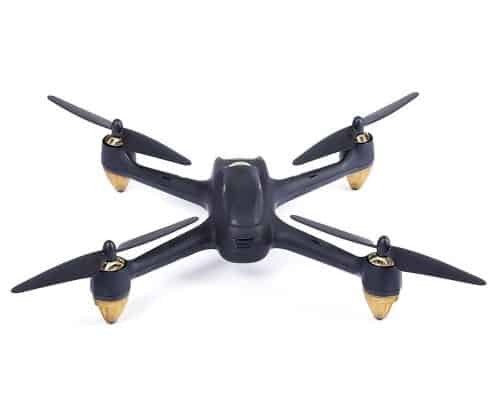 Falling under the category of mid-priced Quad drones with a camera, the Hubsan H501S X4 is an excellent tool for beginners as well as anyone who want to try out with prime camera drones. 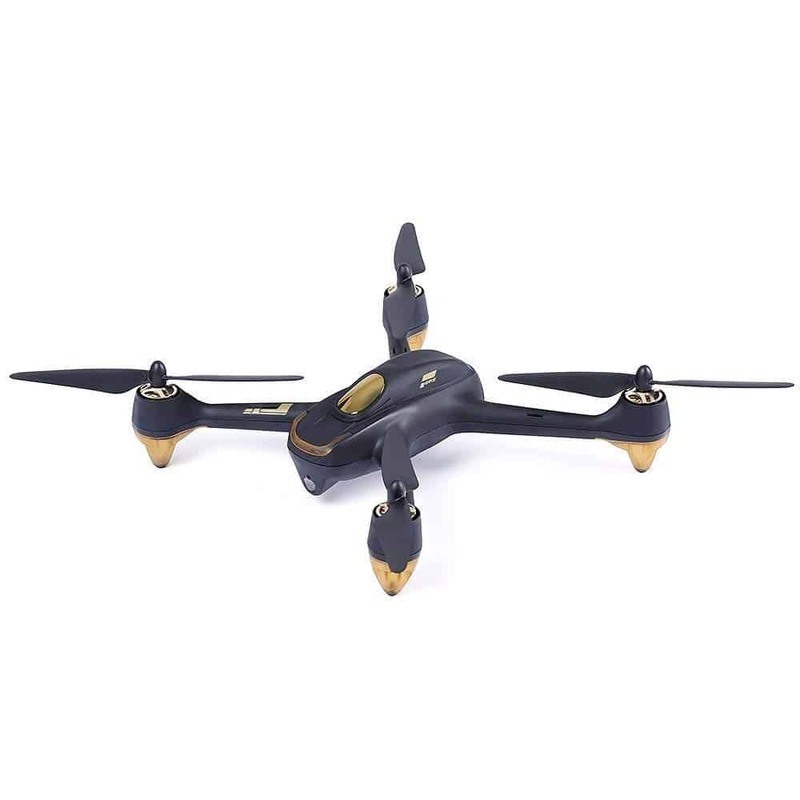 Encompassing all the essential requirements for a drone, this model is reliable for indoor flying as well as outdoors in stable weather. As a matter of fact, you can fly it outside until all you see is a tiny dot and expect it to come back and land safely. With an easy to use control module, one can learn fast on how to use it making it ideal even for newbies especially those with a passion for photography. The Hubsan H501S X4 will guarantee you lots of fun outdoor. 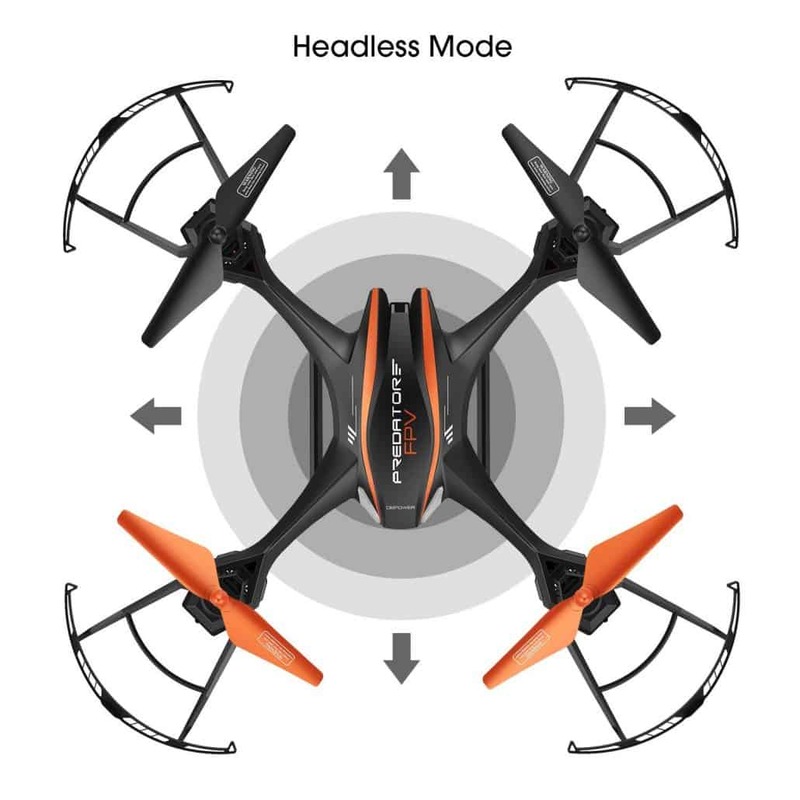 Though the Hubsan H501S X4 has a follow me feature, it lacks an obstacle avoidance capabilities, and this means that you could bump into objects in this mode. As a result, you have to keep an eye on where the drone is moving either visually or via the LCD display. There have also been some reports with the return home feature where some users are reporting challenges such as drone falling. However, a simple firmware upgrade proved sufficient. 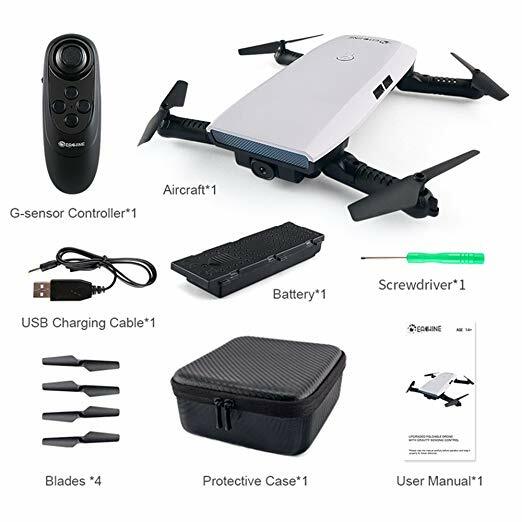 The Hubsan H501S X4 can be recommended to anyone above the age of 14 years who wants to try out good quality camera drones. The fact that it is easy to learn makes it a good point to start even for beginners. 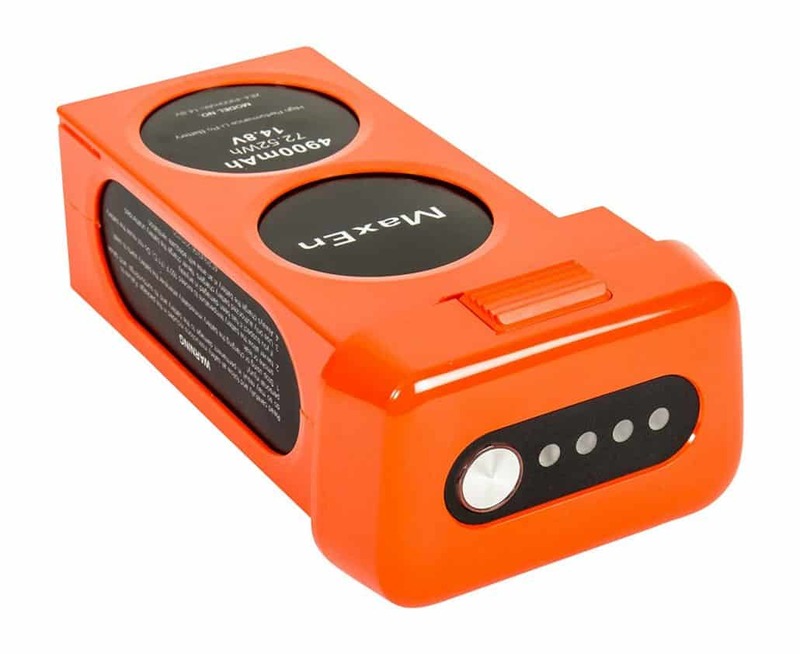 When charging, it is recommended that you keep the temperature of the battery below 450C for optimum operation and long life. 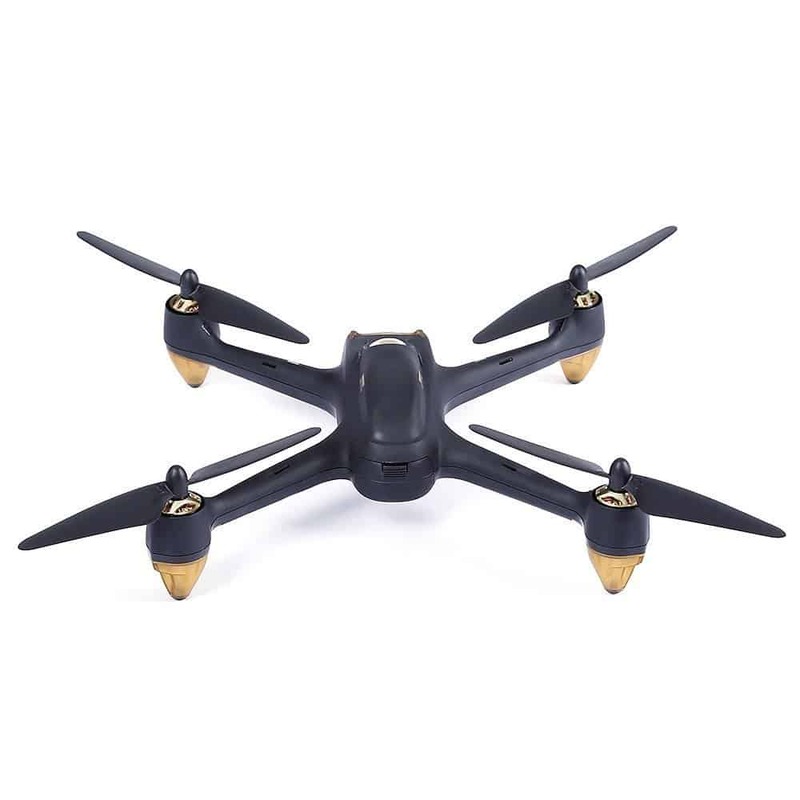 To start with, the Hubsan H501S X4 stands out from all other drones with a camera in this category in terms of video quality and the flight time. 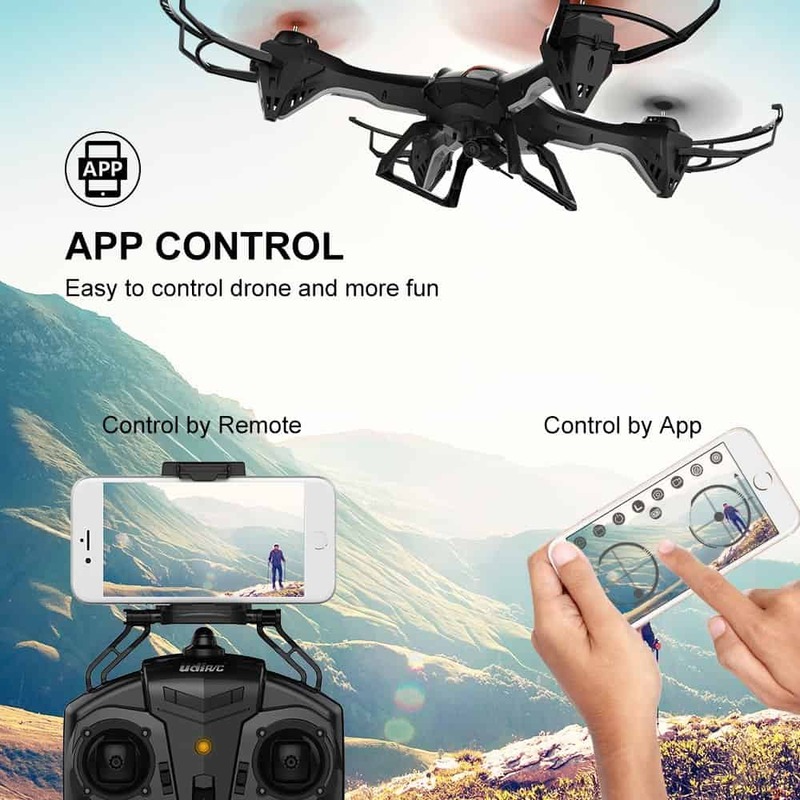 The drone is also great in that the integrated controller eliminates the need to use smartphone Apps which at times have proven to be unreliable. 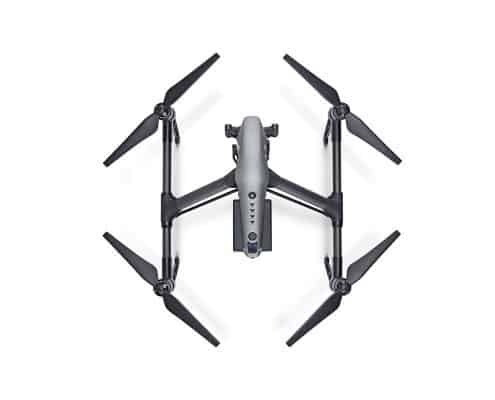 The drone is also lightweight and comes with a stylish design. 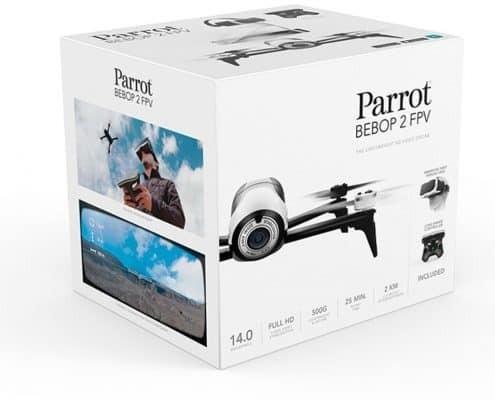 The drone has a six-axis gyro system that will ensure you have a surprisingly steady flight even on windy weather and this is also a great plus when it comes to capturing steady shots. 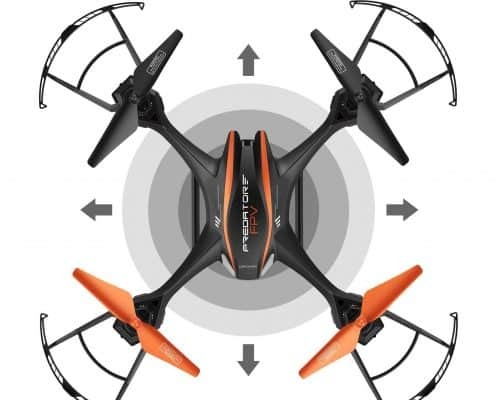 The drone is also strong and durable as compared to many of the drones in this range. 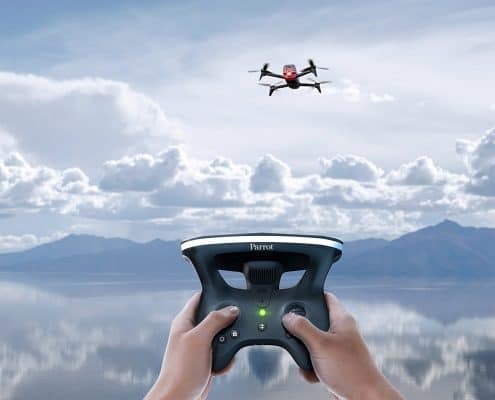 Though the Hubsan H501S X4 has a follow me feature, it lacks an obstacle avoidance capabilities, and this means that you could bump into objects in this mode. You really have to keep an eye on where the drone id moving either visually or via the LCD display while in follow me mode. 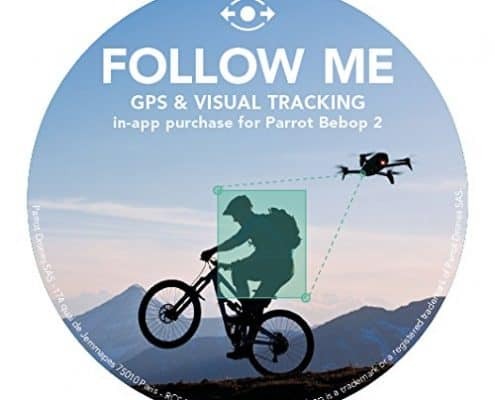 There have also been some reports with the return home feature where some users are reporting challenges such as drone falling, however, a simple firmware upgrade proved sufficient. The UDI U842 Predator is a high-performance hobbyist drone that is top rated. It comes with a HD camera that allows capturing of clear shots and amazing clips. With this, you will have a different experience when recording those quality moments. 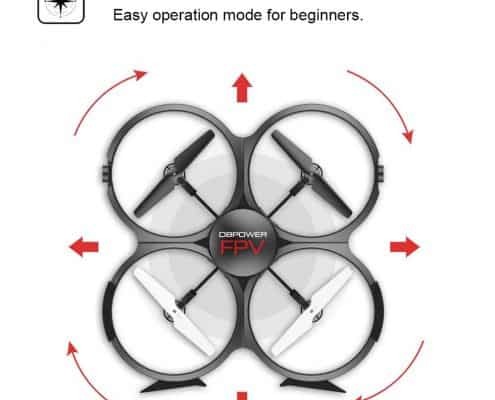 It offers a great experience for beginners as it offers simplified operations as you head to more powerful and sophisticated camera drones in future. 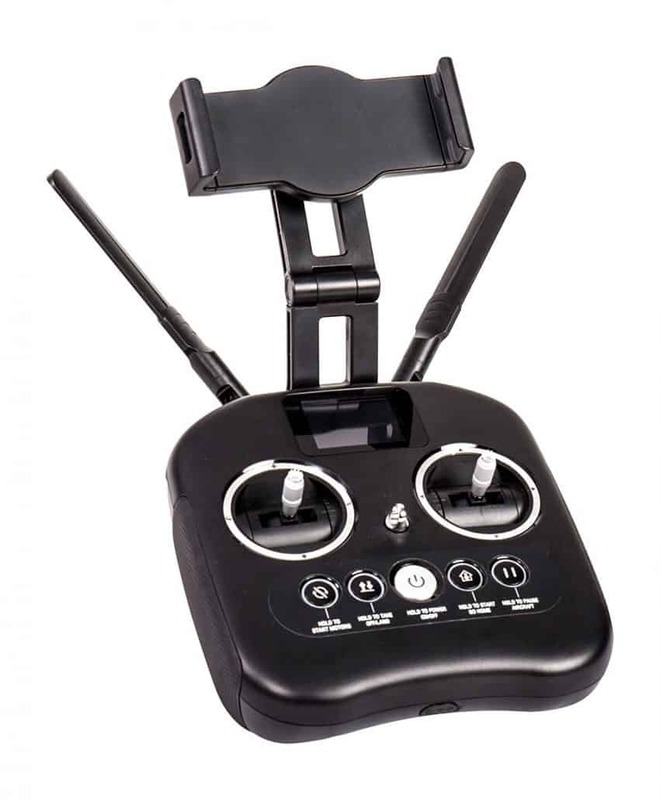 It features a Wi-Fi real-time transmission, and this enables you to be in control of what you are recording. 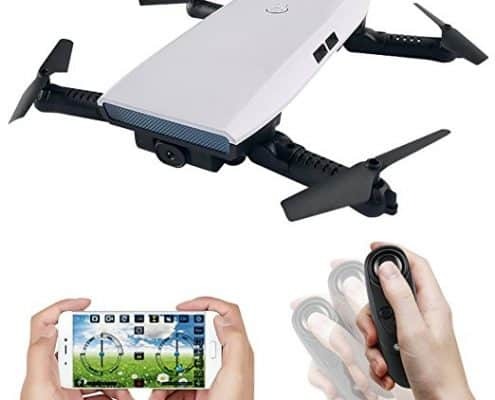 At the same time, this enables you to ensure the safety of the drone. 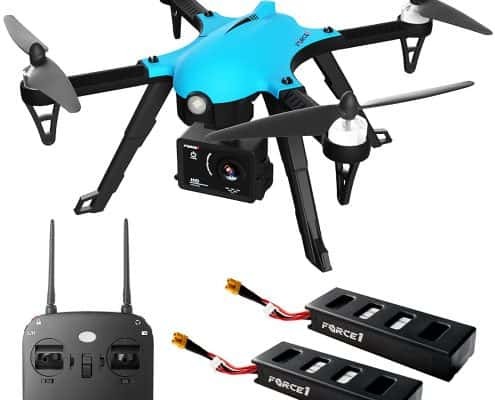 The UDI U842 Predator is a basically a drone for beginners and thus ideal for persons above the age 14 years who want to experiment with camera drones. 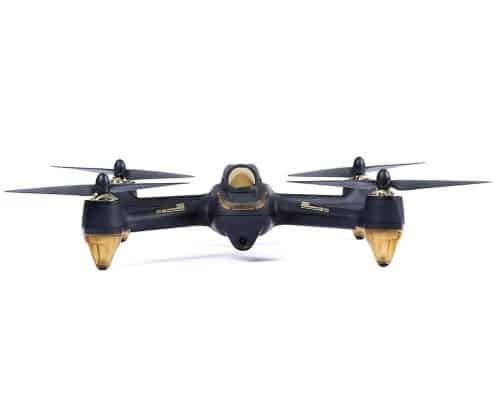 With this drone, you are advised against pushing the throttle too up fast as you could potentially damage the drone as you lose control, this is because the drone comes packed with ultra high powerful motors that are ultra-responsive. Also, when you experience twist and freezes on the video feed, for not be worried as this is only signal interference but the recording on the memory card is okay. 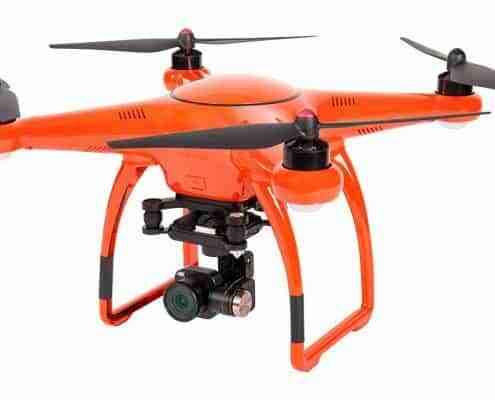 There are plenty of reasons for acquiring the UDI U842 Predator, to start with, the drone is well priced. 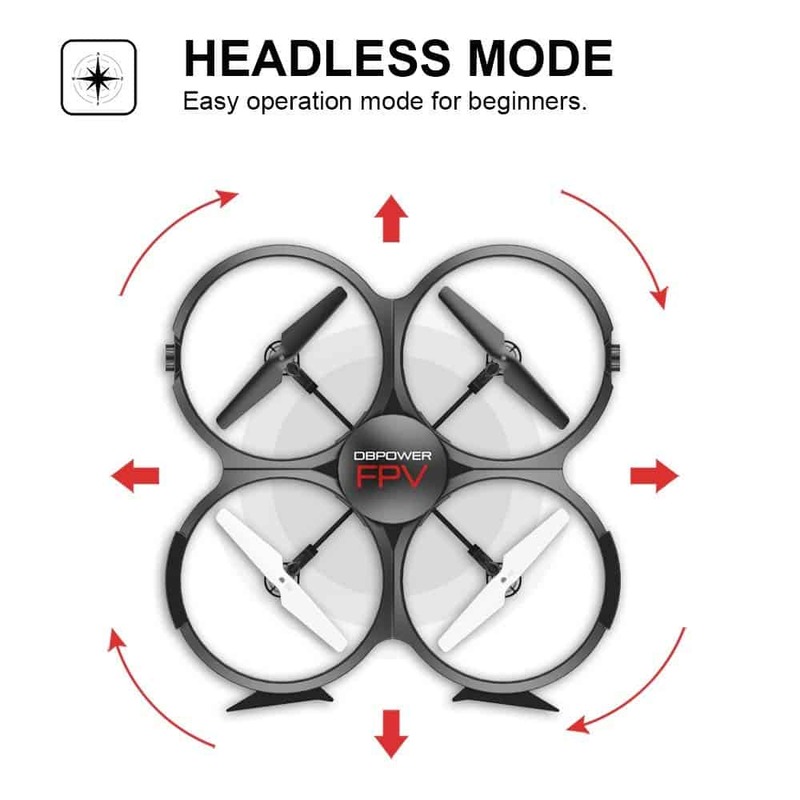 Ideal for those who wish to try out drones. 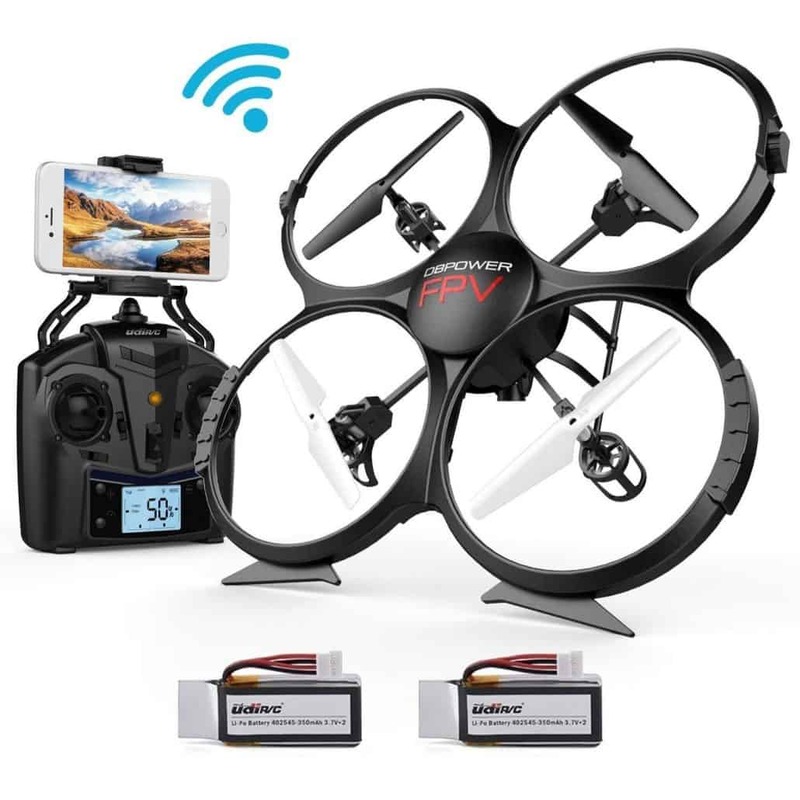 The drone also has a great combined flight time for the two batteries, and this is really impressive at up to 18 minutes as this is way above most of the drones in this price range and category. The ability to give a direct feed is quite advantageous in that you are in a position to control the capturing of the video for much better quality. 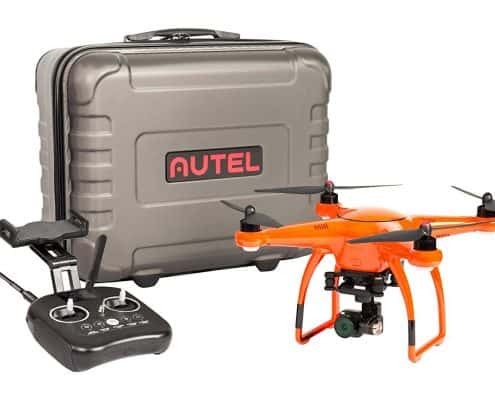 The drone weighs less than 0.5lbs, and thus you are not required to register with FAA thus all you need to do is unpack and fly. Despite the numerous benefits of the UDI U842 Predator, there are a few challenges that you need to be aware. The video transmission range of 30 meters is quite limiting, especially for outdoor usage. This implies out of this range to the operations range of 80 meters you will be operating blind and the quality of the shoot is highly affected. 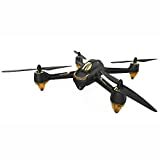 However, this can be compromised as this is a starter level drone and the price range takes care of this. 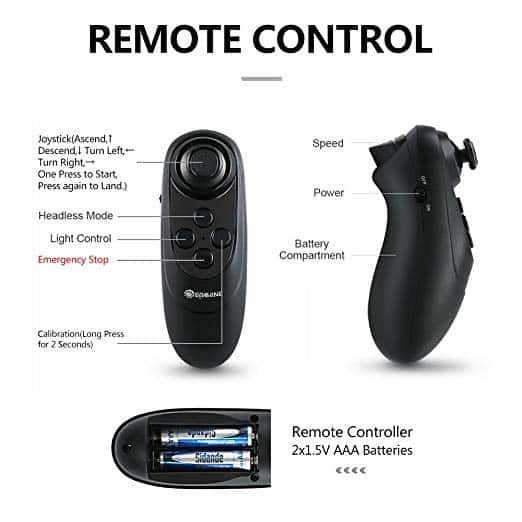 The drone comes with an INTUITIVE G-SENSOR CONTROL: All the user has to do is tilt their controller in the direction that they wish to fly the drone. 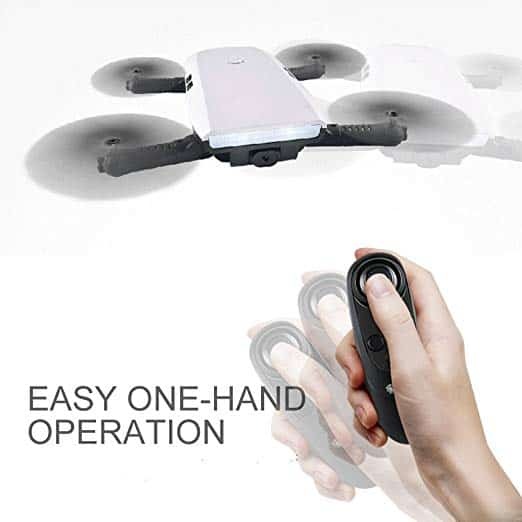 ONE-HAND OPERATION is very easy and has a responsive and reliable operation that makes it simple to fly. Multi-Functioning capabilities that provide each person with altitude hold. 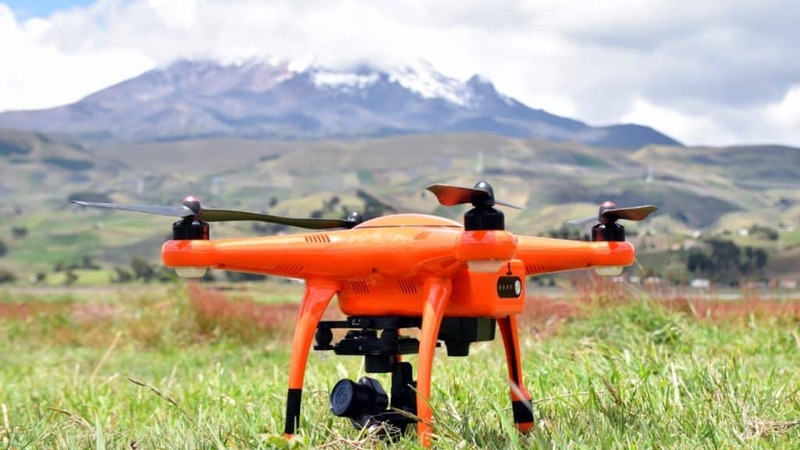 Therefore, when it is being flown, the user can hover over several areas in order to take aerial photographs. Ideal for taking photograph since it has been designed with 720p HD camera. Anyone can take a little time out to capture every great moment in their daily life. Manufacturers provide instructions to initiate the drone. 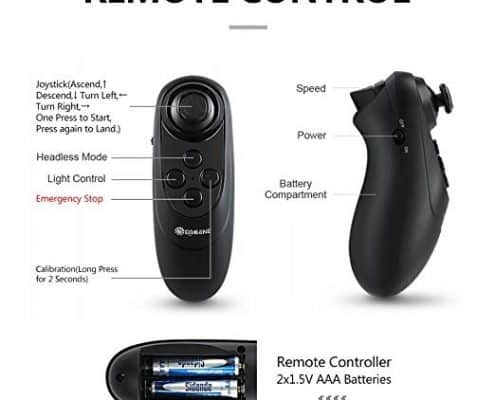 Comes with a joystick for ease of functionality and has stopped flashing light that tells the user when to lift the drone up in the air. 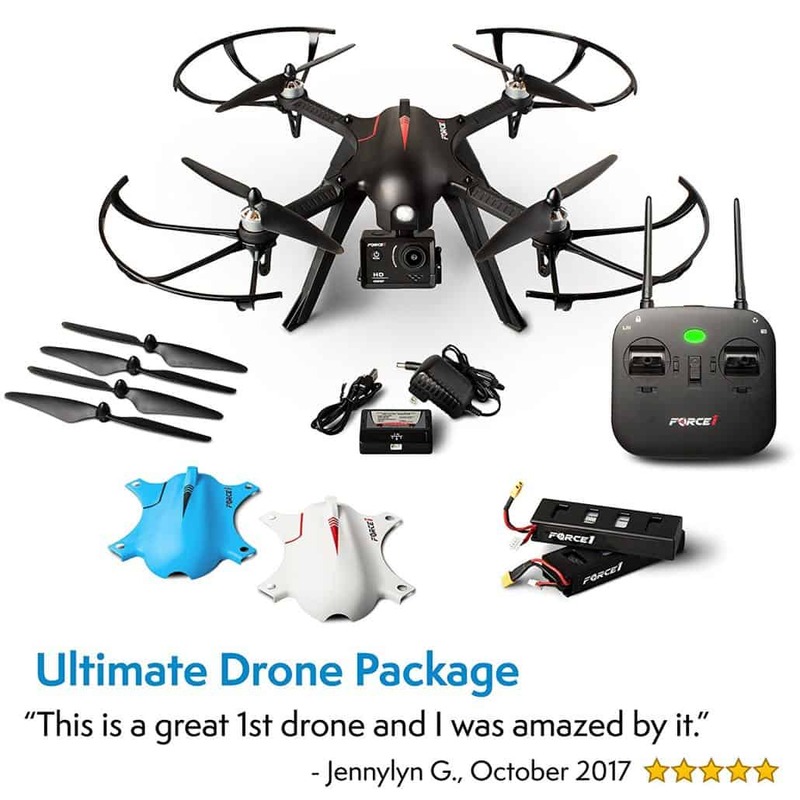 Most people say that this drone flies great so it provides a lot of flying fun. Good price for the functions that this device supplies. Once the user gets past the learning curve, it is relatively easy to fly. 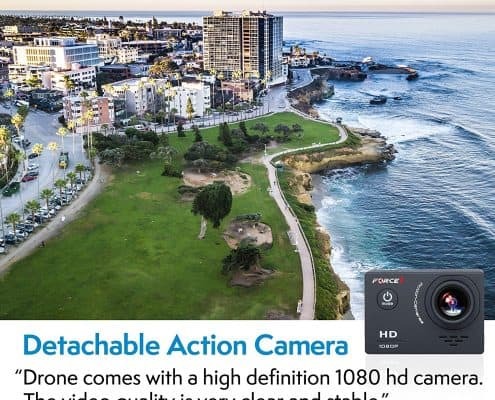 A high-resolution camera that is highly recommended. Easy for each user to control and easy to calibrate. If the user elects to, they can take advantage of the function that allows the person to control this device via the use of their mobile phones. 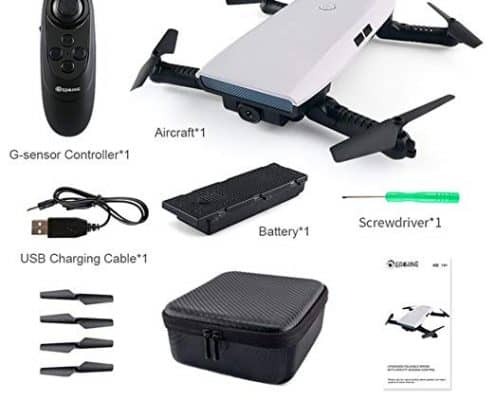 Manufacturers have included a package that contains a user manual, a battery, screw drive, extra propellers, and charging cable, All of which is stored in a lavender traveling drone bag. Device Can perform flips and is fairly durable in make-up. 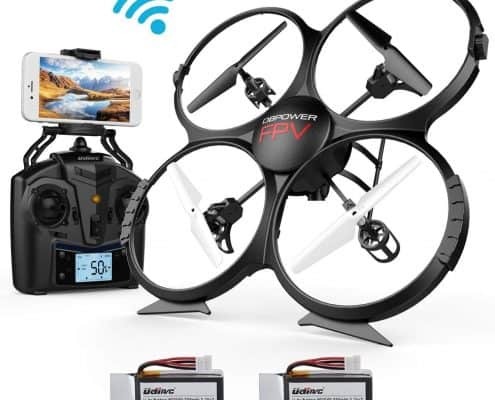 Some users suggest getting extra batteries for this drone, especially because one battery doesn’t last long very long at all. Some people have a difficult problem dealing with the UI and the app. Problem with alert system shutting off. Only blinks twice before the units shuts off in the next 2 seconds. 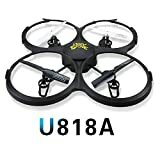 The U818A is currently a #1 Best Seller at the Amazon.com website. 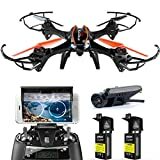 This model again is on the cheaper side of things, and it’s a better choice when looking for a toy-grade drone for kids, or like just for beginners. 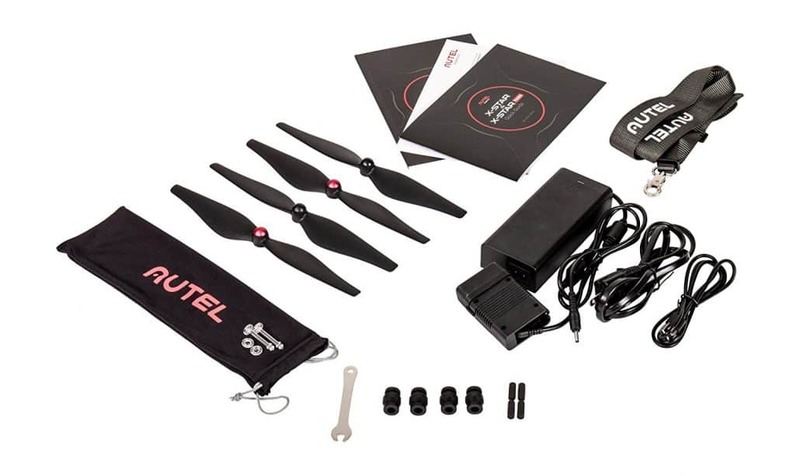 It has all the bells and whistles that you could want: Low Power Alarm, Headless Mode, 4 spare props, 2 batteries, a 720p HD camera, and a powerfull app for your phone. 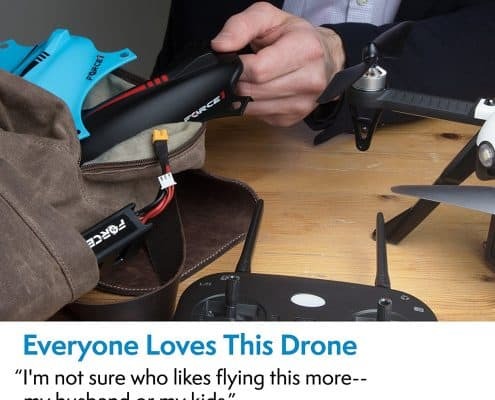 This drone is not like like the others, it was actually designed to take a beating. 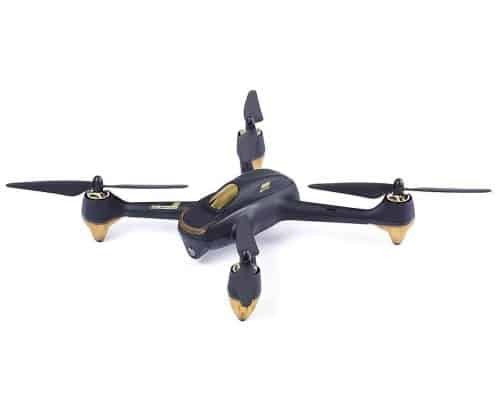 This WIFI drone adopted durable ABS materials, making it very flexible and not as easily broken! 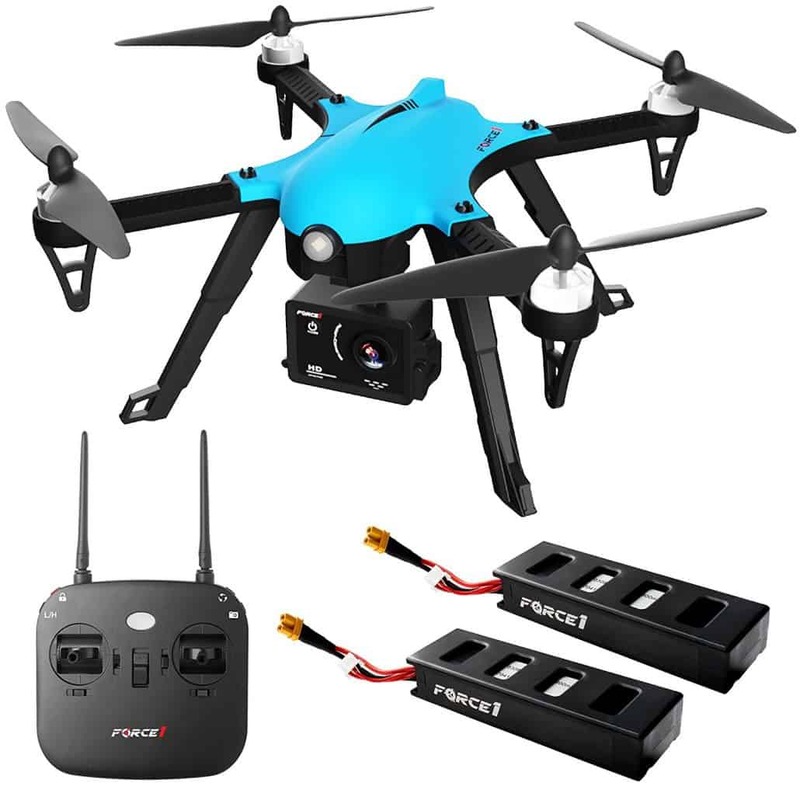 Simple to setup, drone only requires installing the battery by the user and charging it to get started. Users can easily take pictures by downloading the apps. 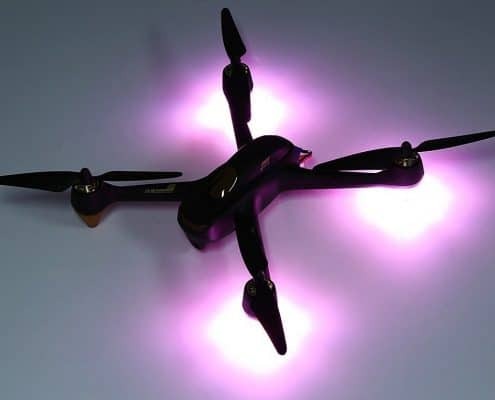 Takes an hour to charge the battery fully and only provides about 10 minutes of flying time. Want to impress the family the next time out! 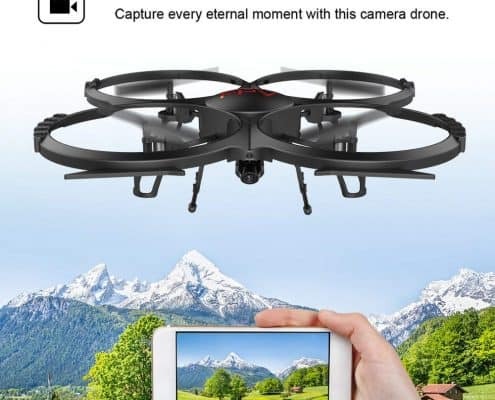 How about you pull out this cool drone and take a quick family picture with it! I’m telling you, a pic from 10 feet in the air looks way better than a pic from the ground! 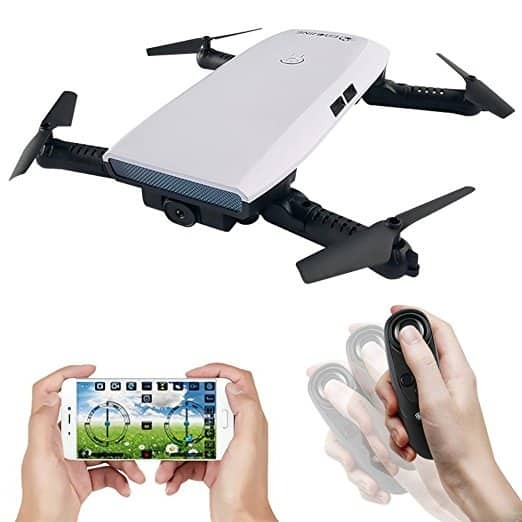 No need for any training with this drone, let the pilot inside you take over and fly away as you watch on your phone! Going for that cool trip in the mountains? I couldn’t think of a better place to take my drone with me. The F100 can be right there with you taking 1080p pictures and videos as you go about your adventures. This model is a brushless motor, brushless motors can deliver more power and don’t wear down as fast. If you have the choice, brushless is the only way to go. 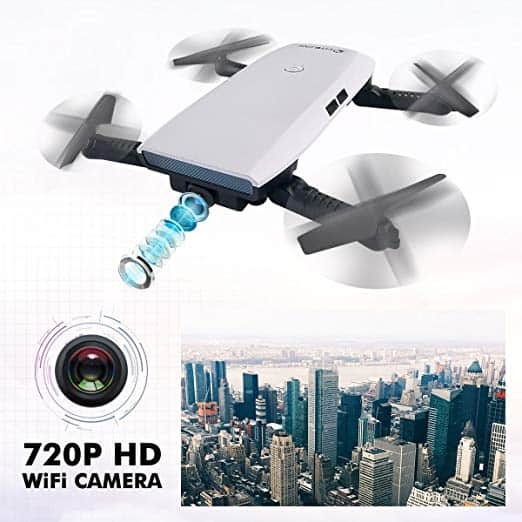 Now I say this drone with camera needs no training, but don’t get me wrong, this drone is good enough for the pros, snapping amazing pictures. 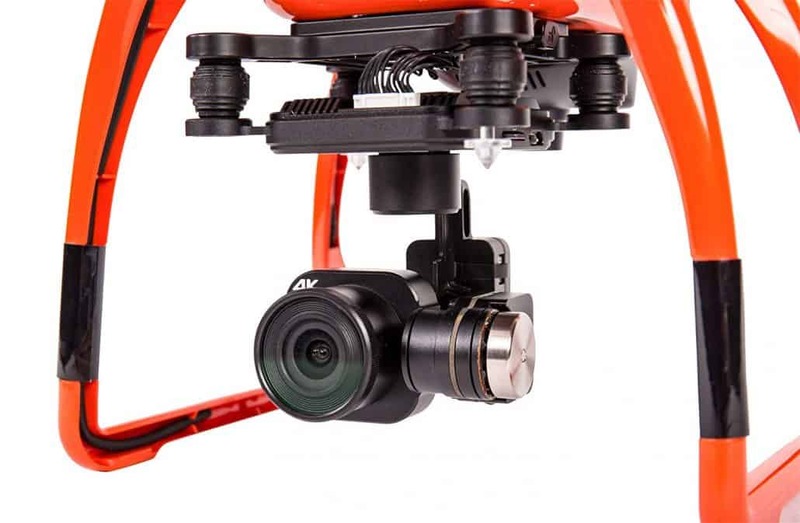 This model can also be used with a GoPro type camera if the included camera is insufficient. The drone can go about 500 meters, which is plenty to get a good view of the surroundings. The flight controls are considered to be absolutely amazing. 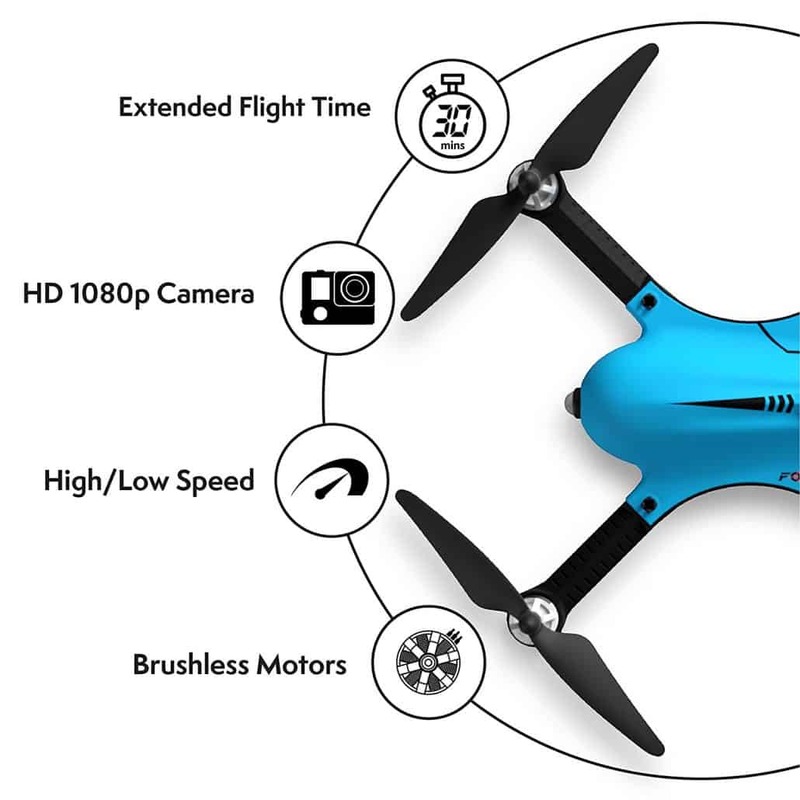 Since people can do flips with this drone, navigations are sharp, clean, and very quick. It is very easy to assemble can be done in a matter of minutes. The only difficult part about setting this drone up for use is waiting for the battery to charge. 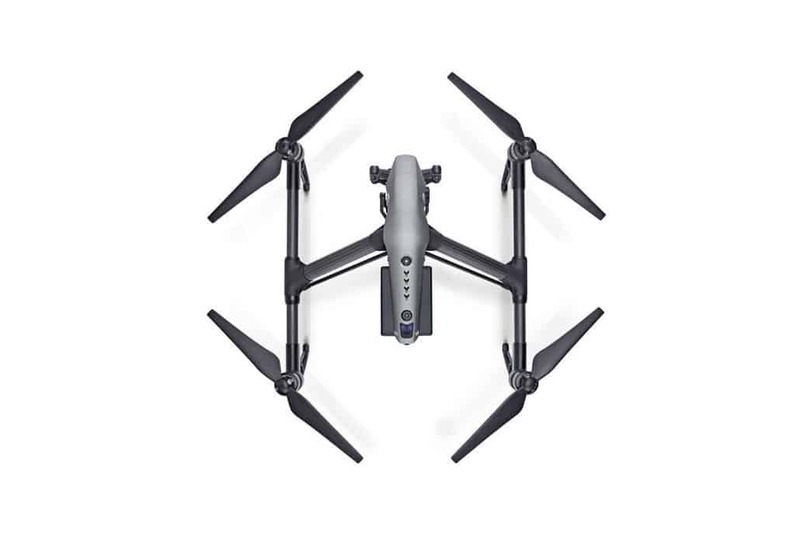 Manufacturers are providing added bonuses in the case of a crash, which includes extra battery and propellers. Built pretty good with its design and durable materials since it can withstand several crashes during the learning process. The transmitter has been made to go a long distance. 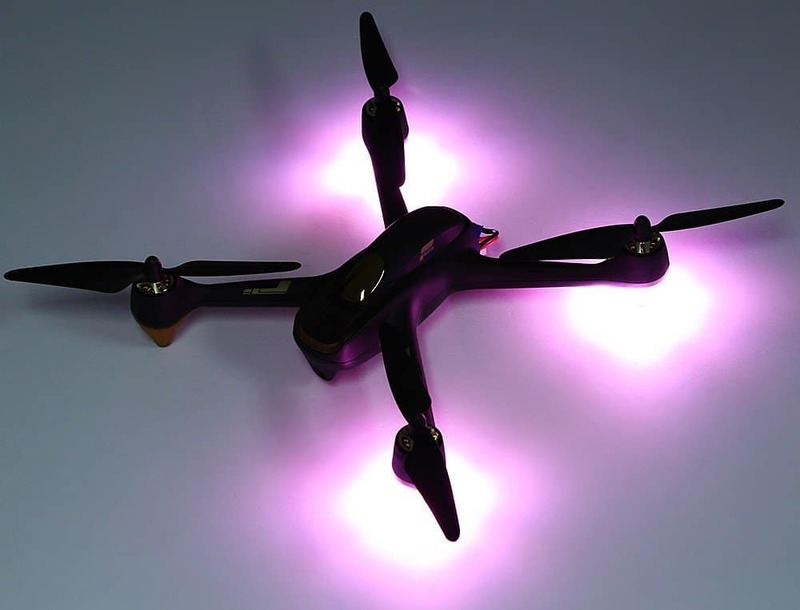 The device comes with exceptionally bright LED lights so it is excellent for night time flying. 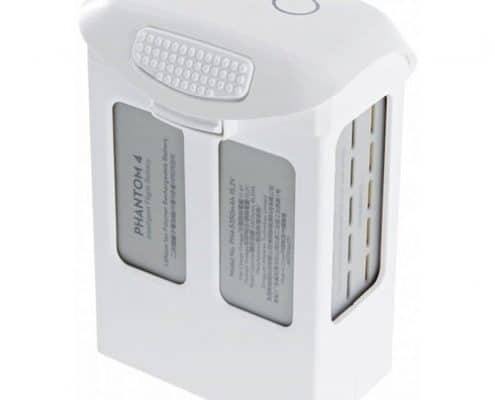 The types of batteries included in the package are made of inferior products. This is because the original batteries will easily go bad and aftermarket choice should be considered.